Have you ever celebrated Thanksgiving with a turkey from a local farm, instead of a packaged, frozen supermarket bird? Ever cracked a farm-fresh egg into the skillet next to a store-bought one? The difference in quality can't be overstated. Small-scale livestock farming not only brings better, safer, and more delicious food to your table, but it can do so economically. Long the primary reference for anyone who keeps animals as a sustainable food source, this latest edition comes with a beautiful new design and includes up-to-date information on breeding, feeding, disease prevention, housing, and management. 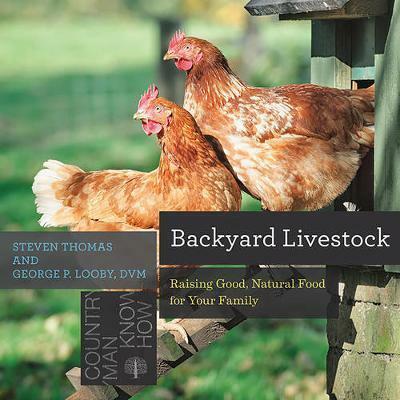 Complete with clarifying diagrams, full color photography, and a catalog of supplemental reading, Backyard Livestock continues to be the best resource for those who wish to sustainably and ethically raise their own farm-fresh food.